UBE2I is also named as UBC9, UBCE9 and belongs to the ubiquitin-conjugating enzyme family. It is a homologue of the E2 ubiquitin conjugating enzyme and participates in the covalent linking of SUMO-1 molecule to the target protein. 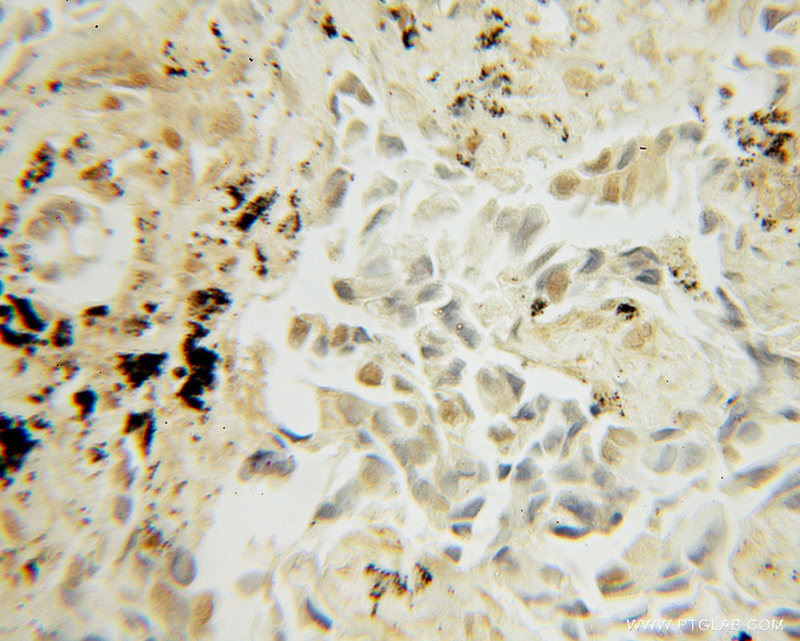 This protein is present at a high level in spleen and lung. Moderate level of UBE2I is detected in kidney and liver. Low amount of UBE2I is observed in brain, whereas the 18 kDa band of UBE2I is barely visible or absent in heart and skeletal muscle. In heart and muscle extracts the UBE2I antibodies recognizes a 38 kDa protein band,but this band is not visible in extracts of other rat tissues(PMID:14739995). Novel progerin-interactive partner proteins hnRNP E1, EGF, Mel 18, and UBC9 interact with lamin A/C.